Lunch presentation of the Pensions and Benefits Review reciprocal agreement with the UK. 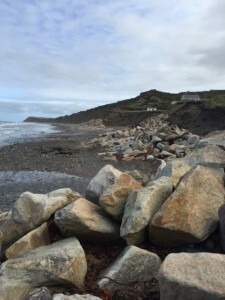 The essence of which is the Isle of Man and UK will, from April next year, be operating different state pension schemes and the proposal is that individuals who pay into both jurisdictions over a working lifetime will claim separate pensions from each entity. The overriding factor is that no one will lose out and there will be an additional cost to Government initially of around £250,000 pa. See news release below. A further presentation from the Department of Home Affairs on four bills that will come before us in the near future. More on these at a later date. Final meeting, the first meeting of the Select Committee on the Registration of Property of which I am a member. We elected a Chairman and clarified our remit to obtain further information on the land registration process. This entry was posted in Uncategorised on 28th October 2015 by geoffreyboot.org. Sea Services Working Group, a further meeting, presentation and explanation of the User Agreement. As its confidential I can’t say too much but it was very illuminating. Lunchtime meeting with the Minister of Home Affairs, Juan Watterson, a good briefing on his Departments responsibilities which include the Police and the Fire Service. This was followed by a meeting with the Chief Constable and Superintendent Kevin Willson where we covered a wide range of matters, a number of which have been raised by constituents that I will now be able to answer individually. The Government is looking for a new member for the Planning Committee, anyone interested should take a look at the information pack link. This entry was posted in Uncategorised on 22nd October 2015 by geoffreyboot.org. Another day in Tynwald, a late finish at 10.15pm but we cleared all business so concentrating on constituency matters tomorrow. Department of Economic Development got approval for the £50m enterprise scheme, which is good news for economic growth and I shall be monitoring this carefully. I have been appointed to two committees, the first Social Affairs Policy Review Committee. This is one of three standing committees that scrutinises the implemented p…olicies of the Department of Health and Social Care, Department of Education and Children and Department of Home Affairs. I was also appointed to a committee to consider the petition for redress presented at St Johns on 6th July in relation to the registration of property. 9.30am – sworn in. I am now able to sit in Tynwald chamber and indeed did so until 9.15pm this evening. A very long day – 38 questions with 48 items on the order paper and we start tomorrow with 40 to go – another late day I suspect. My first Tynwald question and a good result for the constituency, Minister for Infrastructure Phil Gawne has confirmed that the remedial works to finish the Tackle Box corner site in Foxdale will be completed in the near future and there is commitment in the next financial year to complete the much needed resurfacing and drainage works to the main road (A3 through Foxdale). At lunchtime we attended a briefing on the 2016 Destination Management Plan for Tourism – 2016/2020. There was some good news and some bad news. Some areas of tourism are growing and certainly the quality of our product is improving. We have a great story to tell. There are also a lot of good ideas in the pipeline. This entry was posted in Uncategorised on 21st October 2015 by geoffreyboot.org. 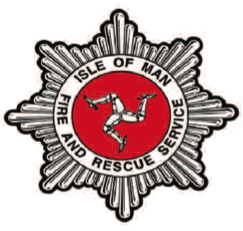 Morning meeting with Kevin Groom, Isle of Man Chief Fire and Rescue Officer, an interesting insight into the way services have changed over the years. Recent media attention centred on the lack of fires that the Fire Services now attend due to better awareness and building regulations. Victims of their own success…..no….this is what its all about, making our Island a safer place and the clue is in Fire and Rescue Services as much of their work now centres around the latter – think road traffic accidents etc. We will shortly see a combined centre in the south linking paramedic services with Fire and Rescue and I was also surprised to learn that we only have one full time station in Douglas, the rest are manned by retained firemen. Lunchtime meeting with the Chief Minster Alan Bell. He has been busy over the last few weeks attending party conferences across, building bridges and making contacts. Our talk was wide ranging and there is a lot going on behind the scenes that gives me reason for hope in the future, obviously much is confidential. I guess my future appointment to any departments is now in his hands – watch this space! New boys myself and Ray Harmer attended a briefing on the National Insurance Benefits Review as existing members have already had a comprehensive brief. Lots of facts and figures to absorb but the graphs tell the story that if we go on as we are with existing retirement ages and predicted life spans our state pension system is unsustainable. 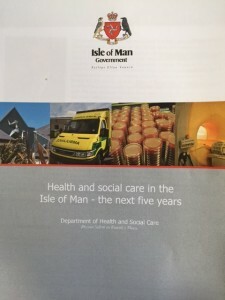 The good news is we have time to fix it and at the moment they are trying very hard to make sure that no one loses out as a result of changes which will merge the Manx supplement with the basic pension. Nothing is set in concrete yet, they are still proposals but the report is well worth a read. Unsurprisingly I have received a number of queries with regard to the new gas tariffs and the way they will affect individual households. Manx Gas, over the last few days, have sent out new tariff leaflets with the banding structure depending on consumption, but failed to let households know what their previous years consumption was and which band they fall in. In my opinion they are causing concern and distress that was not necessary had they given an indication of banding level and likely saving or additional cost. For instance one lady that I have spoken to when she received clarification of her usage last year will under the new system save around £4 per year. To find out what your previous consumption has been and which band you fall in phone 644400 with your customer reference number and I am told they will clarify the same. This entry was posted in Uncategorised on 16th October 2015 by geoffreyboot.org. There have been many changes within the management structure of late and as always these take a while to feed through, but I got the feeling that a number of the issues raised during the recent by-election campaign are on the agenda and I hope that by the time of the general election some of these will have fed through. No doubt in due course there will be feedback. This was followed by a meeting with the Treasury Minister and a briefing on our financial situation. Work in progress but some encouraging information. Finally a lunch briefing by the Minister for Economic Development on the Enterprise Development Scheme which comes before Tynwald on 20th of this month. This entry was posted in Uncategorised on 15th October 2015 by geoffreyboot.org. DEFA meeting – an interesting and informative meeting with Richard Ronan, Minister at DEFA. Wide ranging discussion on many matters germane to our rural constituency. 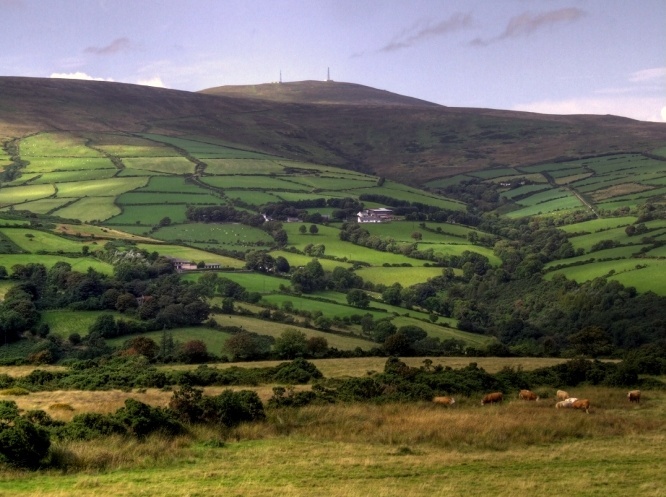 Of particular interest to me is the future of farming in the Isle of Man, securing the same and retaining the ability to add value, particularly meat production with a more efficient meat processing plant with a customer orientated ethos. 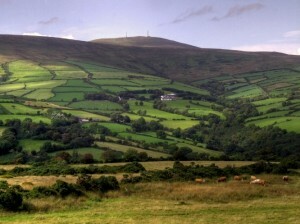 Farmers continue to be the custodians of our unique landscape, without them the island would certainly be a different place. There is concern at the rapid erosion of the coastal cliffs at Kirk Michael. We looked at amelioration measures which as you will see from the photograph seem to have worked where they have been used in the past. No doubt Tynwald will consider a motion with regard to the same in due course. This entry was posted in Uncategorised on 9th October 2015 by geoffreyboot.org.